Walnuts are added in chocolates, salads, cakes, breads, cookies and fudges. They have little bitter taste, but still used in many bakery products. This has numerous culinary with health, skin and hair benefits. Walnuts can add to your glowing skin and body. They are also added in many makeup and skin care product, due to its rich nutrients and vast benefits. You can eat 1ounce of walnuts every day. 1 oz = ¼ cup = 12 to 14 halves, depending on the size. 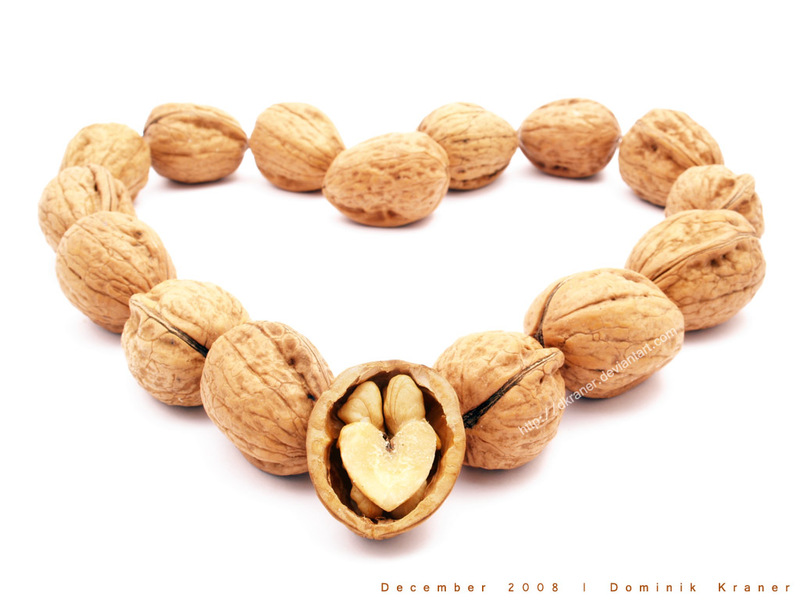 Walnuts have omega-3 fatty acids required for good cardiovascular system. Eat few walnuts to reduce your high blood pressure and bad cholesterol. 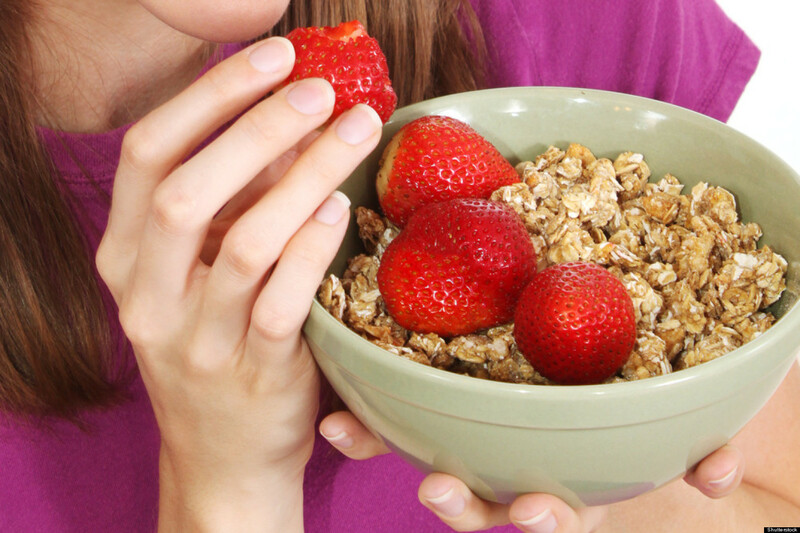 This can also stimulate Good cholesterol production and benefit the heart. 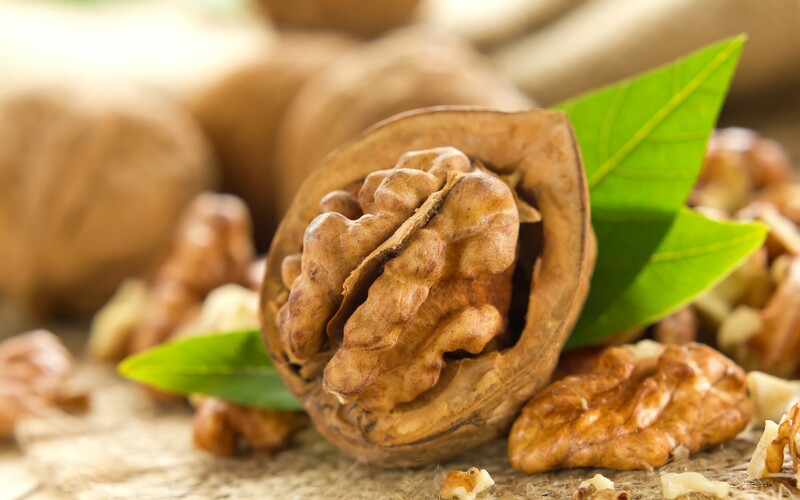 The Omega 3 Fatty acids obtained from Walnuts are good for healthy brain. Eat food high in Omega 3 fatty acids for smooth nervous system and good memory. Eat few walnuts each day to lower the risk of breast cancer. Hence, this also reduces and prevents the risk of Breast Cancer. Walnuts contain fatty acid- alpha linolenic acid. This acid maintains healthy bones and makes them grow stronger and healthier. Consume omega 3 fatty acids to reduce inflammation chances and keep the bones strongest for longer time. Walnuts are rich in melatonin that induces good sleeping patterns. Omega 3 fatty acids can also maintain the blood pressure to relive stress. Expecting mothers must consume walnut daily. Walnut includes Vitamin B Complex groups such as folates, riboflavin, thiamin required for a pregnant woman and the fetus. Walnuts has fiber content known for maintaining the proper digestive system functioning. We all need fiber for proper bowels. Many protein products like meat and dairy products don’t contain enough fiber, so eat Walnuts to keep the digestive problems at bay. Walnuts are best known to stimulate immunity. Walnuts have anti-oxidants to maintain immune system healthy and prevent from many chronic diseases. Add some walnuts to your diet to stay fit and healthy. Inflammatory diseases such as Arthritis, Asthma, and Eczema can be lowered by eating Walnuts. They have Fatty Acid to treat and prevent these diseases. Walnuts have B-vitamins that are vital for your skin. Vitamin B manages stress and mood and Lowers stress level. High stress can cause wrinkles and faster ageing. B-vitamins with Vitamin E can fight off the free radicals to induce stress and delay your ageing process. Dry skin beauties can also apply warm walnut oil daily on their skin. Walnut oil moisturizes your skin and also nourishes them from within to enhance radiant skin cells. Apply few drops of warm walnut oil daily to lighten you’re the dark circles on the skin. This also is a soothing agent that can ease puffiness and relax the eyes to get its shine and color. Blend walnuts, oats, honey, cream, and drops of olive oil to make a thick paste. This face mask will moisturized and delay ageing signs on your skin. Pollution and poor eating habits make your hair look shine less, dull and damaged. Regain your healthy, glowing hair with walnuts in in the hair care regimen. Walnuts can either be consumed or applied externally as oil for healthy and glowing hair. Walnuts have Omega 3, Omega 6, potassium, and Omega 9 fatty acids. These ingredients strengthen the hair follicles. Thus, apply walnut oil for stronger, healthier, longer, and glowing hair. Walnut oil can keep balding issues at bay, when used regularly. Walnut oil is used in many hair oils for its moisturizing properties. Thus, it is also a natural anti-dandruff agent. Apply walnut oil for moisturized and hydrated scalp. This can also prevent from dermatitis and infections like ringworm. This will give healthier and cleaner scalp with beautiful hair. The husk of walnuts is a natural coloring agent to highlight your hair. Walnut oil has proteins to improve the color of hair and add a healthier glow. Apply walnuts oil 3 times a week for best results. Walnuts are available in small, medium, and large sizes. Always check their shells and buy without any holes or cracks. The meat must be plumped and crisp. Store walnuts in an airtight container in a dry and cool place that is away from direct sunlight. Shell Walnuts have shelf life of 3 months. You can also refrigerator for 6 months. Freeze walnuts in an airtight bag. Keep Walnuts away from onions, cabbage or fish, while storing. Add walnuts in banana and yogurt smoothie. Make a delicious salad by adding walnuts to your other ingredients. Add some toasted walnuts to other dishes to flavor the meal. Walnuts can cause allergic reactions. Walnuts lead to stomach bloating and soften stools. More intake of walnut can cause weight gain. Black walnut can also cause loose stools or diarrhea. Black walnut applied on your skin can cause rash. Black walnut may cause tongue or lip cancer. Sift the flour by adding baking soda, and salt. Mix eggs, vanilla, sugar, and butter. Add sugar, walnut and cardamom powder. Cool the halwa and serve. These are the many benefits of eating walnuts. Enjoy walnuts with its various health benefits.